Through every upheaval in her life, Kamala Das never gave up on writing poetry and prose. Her unflinching and passionate approach touched many lives even after her death in 2009. Today's Google Doodle by artist Manjit Thapp celebrates her. 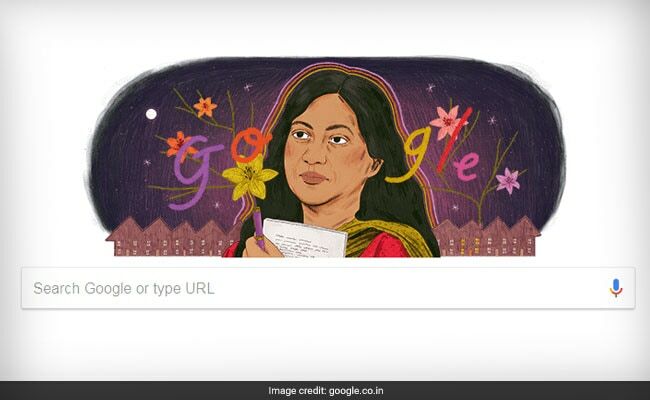 Google Doodle: Kamala Das lived her life fearlessly resisting the labels of a "feminist"
New Delhi: Today's Doodle by artist Manjit Thapp celebrates the work Kamala Das left behind, which provides a window into the world of an engrossing woman. Kamala Das was one of the many voices that began featuring in cult anthologies in the 1960s when art in Calcutta was undergoing a tumultuous time. Kamala Surayya was born in Punnayurkulam, Thrissur District in Kerala, on 31 March 1934, to the former managing editor of Mathrubhoomi VM Nair and Nalapat Balamani Amma, a renowned Malayali poet. She spent her childhood in Calcutta, where her father was employed with Walford Transport Company, and at the Nalapat ancestral home in Punnayurkulam. Kamala Das took to writing like her mother. Her great uncle Nalapat Narayana Menon, also a prominent writer, was a big influence in her life. She fell in love with poetry from an early age. 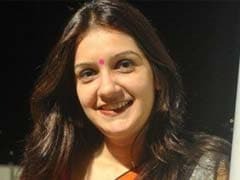 At the age of 15 she was married to Madhava Das, a banker by profession. He encouraged her to write, and she started publishing her works both in English and Malayalam. On this day in 1976, Kamala Das released her autobiography, "My Story". Her life and work had a certain boldness and shape-shifting quality, whether it was the many genres she wrote in or the various languages in which she expressed herself. Ms Das lived her life fearlessly resisting the labels of a "feminist". She wrote under various pseudonyms. When she began publishing, she used the pseudonym Madhavikutty; Ami was her pet name; and Suraiyya, the name she gave herself upon converting to Islam. Her autobiography captures her life from childhood to marriage and beyond, describing the rich inner world of a creative soul. She began writing this book in English but soon started translating it to Malayalam as she wrote along. Her relatives, among others, tried to block her autobiography from being published and released; but many others were left spellbound by her honesty and the way she expressed herself through words. Through every upheaval in her life, Kamala Das never gave up on writing poetry and prose. Her unflinching and passionate approach touched many lives even after her death in 2009. She was honoured with Sahitya Academy Award in 1984, one of the many awards she received in her lifetime.